I was one of those guys that was fed up living a fast paced, stressful life as a manager for one of the largest financial companies in the world. As everyone knows, in 2008 the economy was in a downward spiral and the company I worked for decided that they were going to pay me 40k less a year. Their “take it or leave it” attitude just didn’t set well with me and after being a loyal team player for such a long period of time, I politely told them where they could stick their job. So I decided it was time for me to go do what truly made me happy and became a Guide in Mecca. My personal Mecca is West Yellowstone, Montana. I was very fortunate to land a job in Bud Lilly’s Trout Shop and after a couple seasons, I convinced them that I could guide. 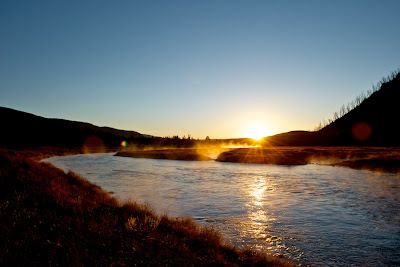 Working and living in West Yellowstone with rivers such as the Madison, Gallatin, Henry’s Fork and Yellowstone all within a stones throw makes any fly fisher anxious to wake up every morning to get out and catch fish! 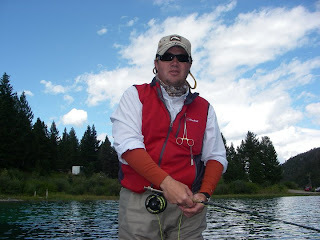 What makes guiding out of West Yellowstone and Bud Lilly’s so special is the diverse clients we get in the fly shop. We get the families that have just driven through the park and saw all those fly fishermen out there catching fish and are excited to get out and try it, to the experienced fly fishers that want to go out and fish a specific hatch or technique or water that happens at any given time. 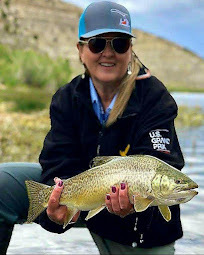 Some guides prefer to guide the more advanced fly fishermen, where you rarely have to deal with the casting lessons, the tangled lines or the endless lost flies in the bushes. I however, actually enjoy getting out and teaching the families and kids the sport we all have grown to love. 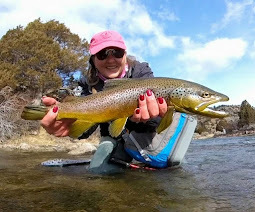 There is nothing more exciting to me as taking a family, father and son or just a person that has never fly fished out onto a river and teaching them how easy fly fishing really is and how exciting it can be to learn about hatches, feeding lanes and fish. My satisfaction comes from watching all the pieces come together and the clients start catching fish and the endless smiles and excitement on their faces. I was in the shop one day last season and watched 2 guys rolling into town on Harley’s in full riding leathers and park across the street ( in a no parking zone) and I thought, “Man, I hope a cop comes by” and went on with my work. As luck would have it. the guys came into the shop looking for a guided trip and guess who was up on the list…..me. I met them at the shop the next morning and got them all set up with waders and rods and we headed for the Madison River. These guys were both from Canada and were on a road trip all the way down the Rockies. They had never fly fished, but thought it looked “cool” and wanted to try it. 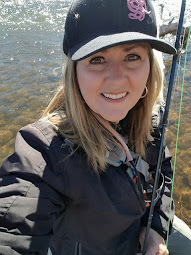 After a quick lesson we waded out into the river and within a few casts the fish started to cooperate and the smiles, laughs, smack talk and fun had begun. That was my most fun day on the water with clients last year. I still get a picture every now and then of the fish they catch on the Bow River and a smile comes across my face knowing that the addiction started that day we were on the river. 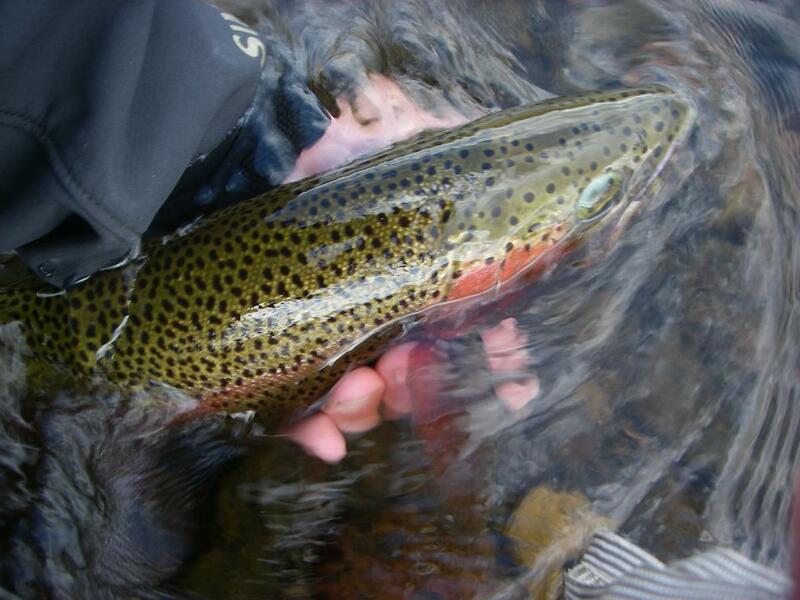 There are never-ending opportunities year round on most of the rivers in the area. You can fish most of Madison outside of the park up until the end of February, just the section above Quake lake to Hebgen then the river opens back up the 3rd Saturday in May. Yellowstone opens up to fishing the Saturday of Memorial day and fishes all the way to it’s closing the first Sunday in November. So, whether you are new to the sport or a pro, come on up and feel free to drop by and get the low down on what's going on around our area. I hope to see you all out there with a smile on your face. I know I will. "Dream Big And Live Bigger". In my mind, a man is successful if he enjoys people and walks around with a smile on his face for no good reason. That sound like Kerry. Nice post. 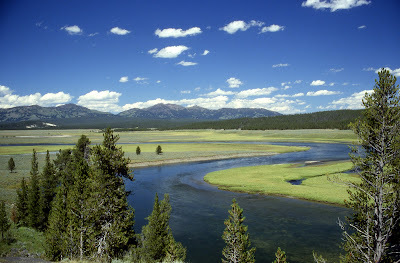 Having recently moved to Wyoming, I am hoping to go and visit Kerry sometime this summer. It should be epic! Awesome post. Thanks. Enjoyed the post a ton Kerry! I can understand the desire to wade in a river, rather than the waters of big business. Glad that you are making the best of it and are following what truly makes you happy. Well done sir! Thanks all it was my privelage! I hope to get a chance to meet you out on the water. Thanks again for the opprutunity to share. MMMM Salmon flies! I have always wanted to fish a salmon fly hatch. I have some salmon flies I have been eager to try. Great post! Brian ~ I've got to tell you that I went against the norm and fished the Firehole in July. Yes, it was 7 am until 10...while the water was still cool enough. The biggest salmon flies I have ever seen! And the fish were going after it. It was an amazing morning that I will never forget. Peace and serenity in the river too, with only my friends and I and no one else! Another fun hatch on the rivers in YNP are the spruce Moths. 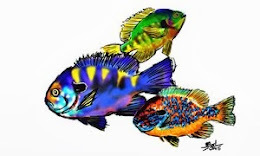 When they come off, the fish really key in on them. It is nice to hear from a guide's perspective sometimes. Fantastic choice for a guest post!